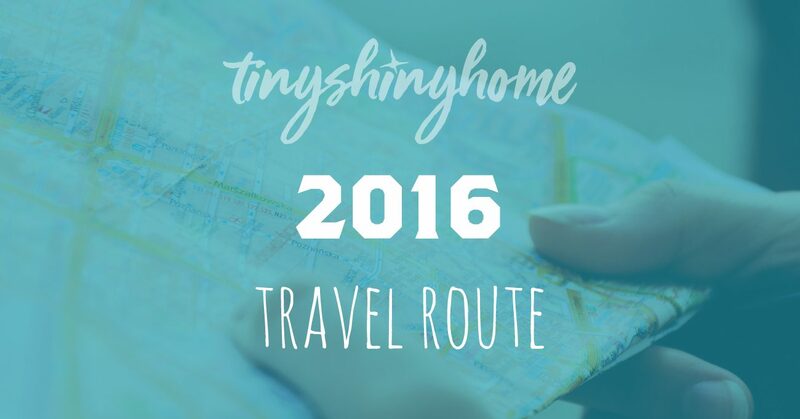 Below you'll find a map showing our travel route in 2016. Click on a marker to get a link to any articles we've written about that area. We'll keep this post updated so you can follow along with us. Enjoy! Quite simply the most magical place we've ever been. Holy Smokes. Highlands Hammock State Park Loved this quiet little park - so many cool trails, animals and habitats! Checked out a wildlife refuge and met up with Ashley grandfather. Oh, we washed the rig for the first time, too! Spent a couple of nights at Manatee Springs State Park. We wished we could have stayed longer. We did get to canoe with some Manatees, though! Spent time with old and new friends, enjoying the beautiful St. Andrews State Park and gearing up to head West. Jon flew back to Knoxville for a retreat. Met up with friends, explored battleships and Jon's parents spent several days with us before we headed out West. Excited to try some beignets, explore the state parks and see some alligators! Had a quick overnight at Vermillionville - was our first Harvest Hosts stay! Hung out here for 4 days until we headed to Galvaston Island to meet up with family. Spent a wonderful weekend with family hiking, mud biking and beaching. We met so many people and did so many thing in San Antonio that we are exhausted. Had a great time! Hanging in Fredericksburg for a week for some downtime before going West. Getting more work done on the RV and spending time with friends. What started with a little brake controller weirdness turned into a 2 day nightmare of brake, rotor and bearing issues. Sad face. A quick overnight boondock spot on our way to Carlsbad Caverns. Boondocked in Carlsbad so we could go check out Carlsbad Caverns. It was nothing short of amazing. WIth the elevator being broken, our legs hurt for days, though! Spent the week at the foot of the Sacramento Mountains, visited White Sands, hiked the gorge and loved every minute of it. Also, some truck repairs. Sad face. Did the tourist thing at Tombstone and boondocked at Whitewater Draw about 30 minues away. Gorgeous area. Stayed for a couple of days at Catalina State Park and visitied Saguaro National Park. Beautiful! Hanging around Phoenix while we get the RV worked on and Ashley flies back to Knoxville to clear out our storage unit. With Ashley back home, we headed West to Alamo Lake State Park. Boondocked for a couple of days so we could check out Valley of Fire. We also got totally stuck in the mud here and thankfully Bold and Adventurous came and pulled us out. Stopped overnight to flush tanks and get water, but our entire propane regulation system started leaking so we spent most of the next day in town getting it fixed. Boondocking with a whole host of people on a canyon rim. It's wonderful! Setting up shop here for the summer season at our work camping job! The beginning of our epic cross country trip to buy our Aistream! Stop on they way to TX to get the Airstream. Overnighted here and had a short adventure at Angel's Peak. Boondocked at a free city park overnight. Overnighted in this small city park. Bought the Airstream, sold our truck and trailer and transferred all our stuff. The Airstream was packed full so we rented a hotel room for the night. Finally made it to Ashley's parents to start the renovation!! We were here the rest of 2016 and early 2017. Want to see how the renovation turned out?